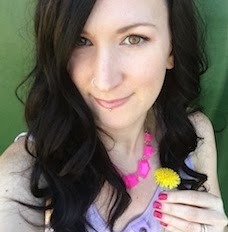 I'm always loving mauve polish, especially in the fall, but I've found that a lot of my clothing is mauve this year. I'd rather have my polish compliment my clothing or accessorize and make a statement, which is why this palette is so great for me this season! They all pair fabulously with my fall wardrobe. 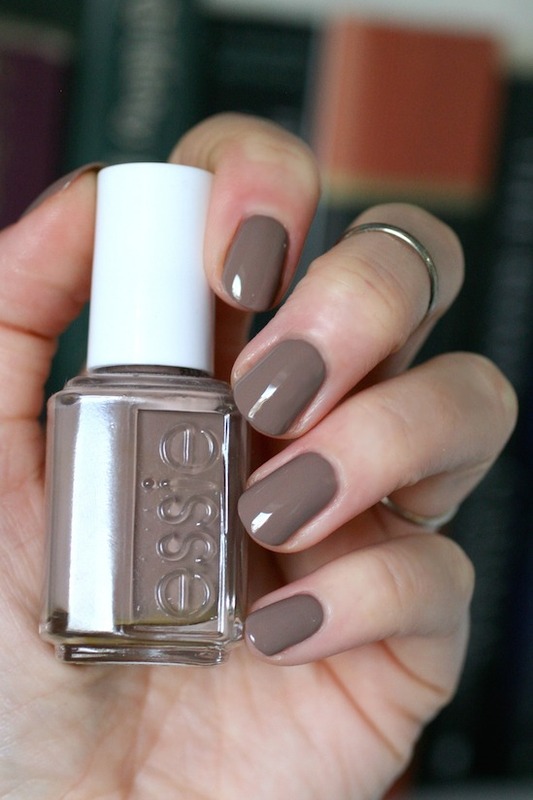 There were so many good polishes in this years Essie Fall Collection, but Mixtaupe was one of my faves. I really love white nails, but off-white seems a bit more seasonal and appropriate. 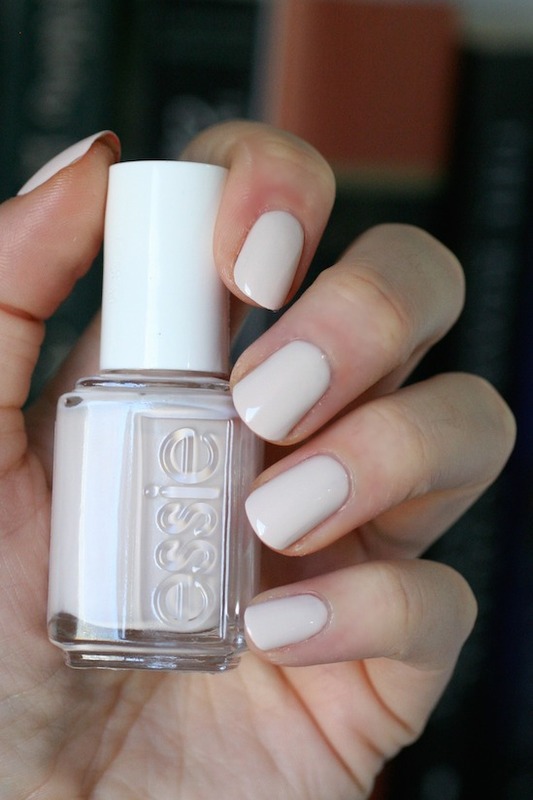 It looks quite similar to one of my fave Essie's Urban Jungle, but it has more of a kiss of blush pink to it. This colour came out in last years Fall Collection and it is incredible! 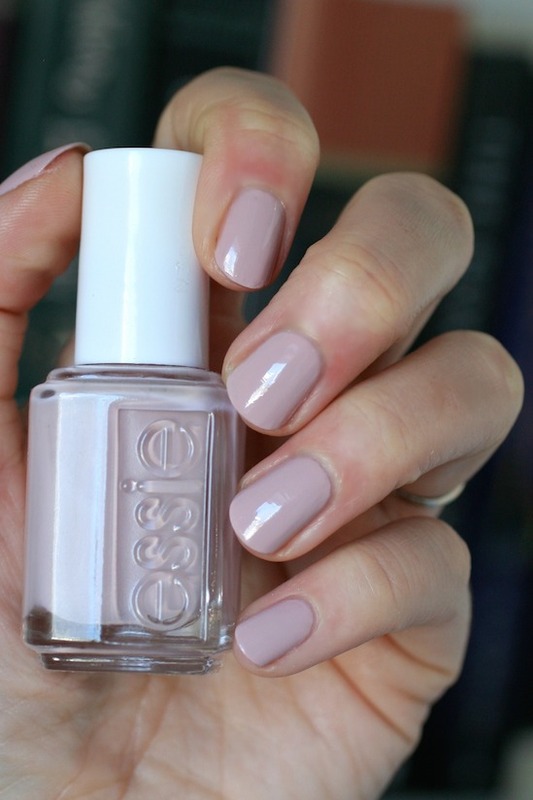 It gives me that kiss of mauve but in a lighter more neutral polish. So good. To be honest, I keep switching between Glamour Purse, Fierce No Fear and Don't Sweater It this fall and I love all of them equally. Soft toasty brown is another way to wear a neutral polish but in a completely different tone than Mixtaupe and Go Go Geisha. I'm all about those neutrals! Ok, I actually do wear this polish every single Fall but I'm not tired of it yet! The formula is so good and there's actually teeny tiny shimmer in it, that doesn't actually make it look "shimmery" it just gives it a nice shine and depth. 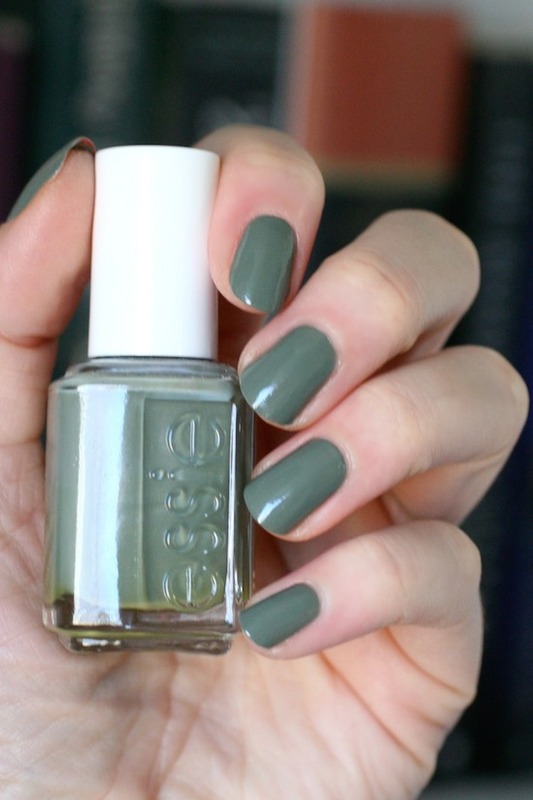 It's a smokey moss green that I just love paired with all my autumn-toned clothes. I have been wearing either this one or Exposed from the Wild Nudes Collection, but in the end, I think Sew Psyched squeaks out the win for me. There's something about this colour that is just so good. 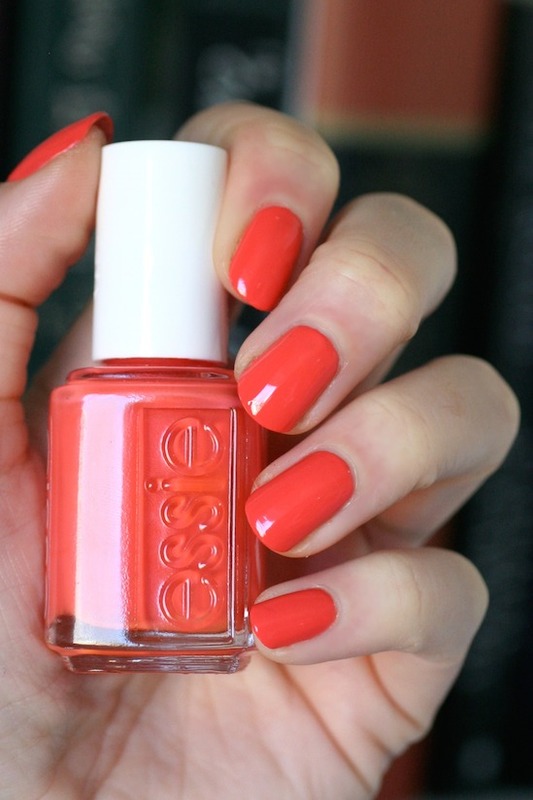 Orange nails is my latest obsession! I was all about them this summer too and if I had written a "My Polish Picks for Summer" post, I totally would've chosen Mark on Miami from the 2016 Neon Collection. I'm the queen of pastels and neutrals but when I wanted a pop of colour I wanted it to be orange, and oh my gosh, that love is still going strong! It's just moved into the deeper, richer, more true oranges. Sunshine State of Mind is my fave right now but I want to wear Capri and Roarrrrange soon too. In that Resort post, I said I didn't need any oranges in my collection but now I've completely changed my tune. Gimme all the oranges! I'm ALLLLL about the bright pop of colour on my nails, but if you aren't, another great orange that's more rusty and toned down is Playing Koi. That polish is literally fall in a bottle. 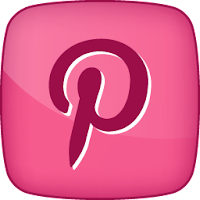 What are you loving on your nails this fall? 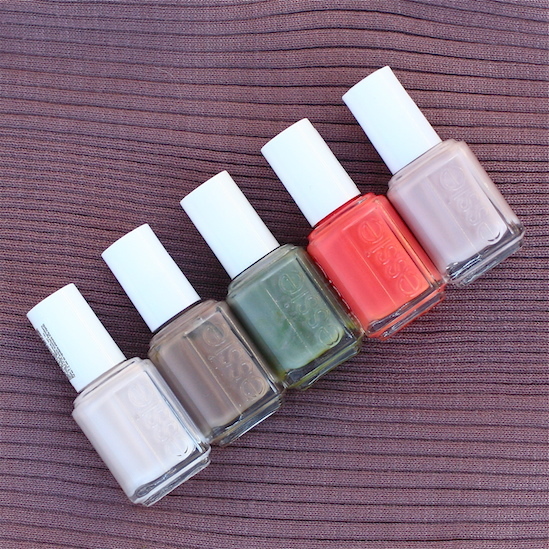 I'd love to hear what your #top5essiesfall are! I'm such a pastels and neutrals queen too! With that said I too enjoy seeing what other's favorite colors to wear for a reason are. 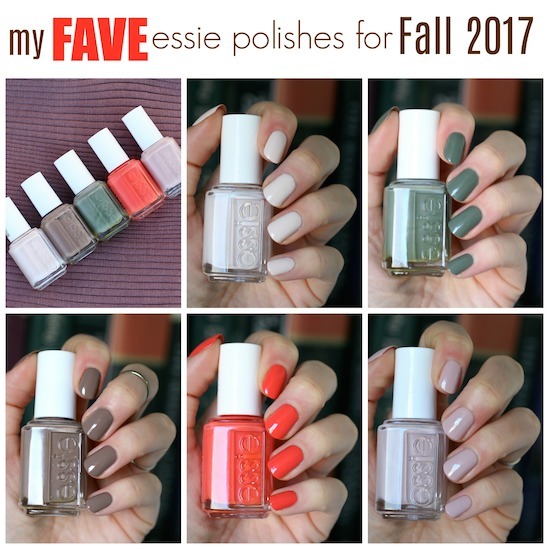 I loved your fall selection colors- thanks for sharing!